The JEE Mains 2018 Eligibility Criteria was published by the conducting body of JEE Mains, Central Board of Secondary Education (CBSE). Candidates aspiring for admission into various IITs, NITs or CFTIs for courses such as B. Tech, B. E or B. Arch, must check the JEE Mains 2018 Eligibility Criteria before filling out the forms. The JEE Mains 2018 Exam would be conducted in two modes—Offline, 8th April 2018 and Online, 15-16 April 2018. While going through the Eligibility Criteria of JEE Mains 2018, candidates much check his/her eligibility for the parameters such as educational qualifications, age limit, qualifying exam, no of attempts, year of appearing etc. Moreover, candidates who meet the 2018 Eligibility criteria of JEE mains, can then fill details like name, date of birth, gender and aadhar card number in their application form. All these details that the candidate as filled in, would then be validated by UIDAI’s data to check the candidate’s eligibility. Vidyakul aims to simplify the process of JEE Mains admission by easing out the understanding of the specifications of JEE Mains 2018 Eligibility Criteria released by CBSE. Candidates are required to go through the specifications given below to verify their eligibility for the exam. • Students who are born on or after October 1, 1993 are eligible to apply for JEE Main 2018. • Candidates belonging to Scheduled Caste (SC), Scheduled Tribe (ST) and Persons with Disabilities (PwD), must have been born on or after October 1, 1988 to be eligible for JEE Main. Candidates of these categories have been given a relaxation of 5 years. Note: Date of birth will be considered as mentioned in the Secondary Education Board/ University certificate. • Candidates must have passed 12thclass or qualifying exam in 2016 or 2017. • Candidates who are appearing in class 12thor qualifying exam in 2018 can also apply for JEE Main 2018. • A JEE Main candidate can avail 3 attempts for the national level undergraduate engineering entrance exam. Candidates must note that the following eligibility would be considered during admission and not at the time of filling the admission form or appearing for the examination. For admissions to NITs/ IIITs/ GFTIs, candidates should have secured at least 75% marks in class 12th exam or be in the top 20 percentile in the class 12th exam conducted by the respective board. For SC/ ST candidates, the eligibility criteria is 65% marks in class XII. 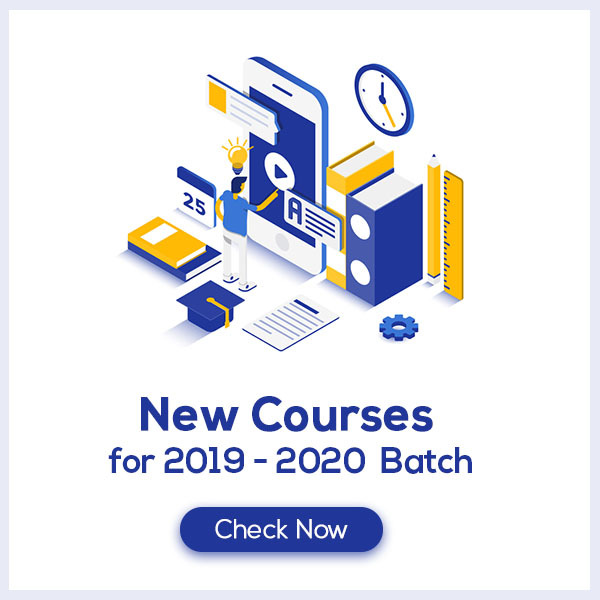 • 10+2 or any equivalent exam, conducted by any recognized Central/ State board like CBSE, ICSE, Council for the Indian School Certificate Examinations, New Delhi etc. • Intermediate or Pre-University Course or Pre-Degree Course examination conducted by a recognized Board/ University. • Final examination of the 2-year courses of the Joint Services Wing of the National Defence Academy. • High School Certificate Examination by Cambridge University or International Baccalaureate Diploma of the International Baccalaureate Office. This is also for admission to IITs. • Association of Indian Universities (AIU) recognized school, board, university examination in India or in any foreign country recognized as equivalent to the 10+2 system. • Vocational examination of H.S.C. • National Institute of Open Schooling conducted Senior Secondary School Examination with a minimum of 5 subjects. • AICTE or State board of technical education recognized Diploma of at least 3 years’ duration. • General Certificate Education (GCE) exam (London/ Cambridge/ Sri Lanka) at Advanced (A) level. This is only for admission to IITs. Note: For admission to IITs – the candidate is required to have passed at least one public (Board or Pre-University) examination at an earlier level, in case the relevant qualifying examination is not a public examination. • Candidates who cleared class 10+2 or equivalent examination in 2016 or 2017 or those appearing in class XII or any other equivalent examination in 2018 will be eligible to appear in JEE Main 2018. • Candidates who cleared class 10+2 or any other equivalent examination in 2015 or before and those appearing in 2019 or later will NOT be eligible to appear in JEE Main 2018. • Candidates who appeared for their class 12 in 2015, failed in 2015 but have appeared again in 2016 and passed are NOT eligible for JEE Main 2018. Candidates who have appeared for only four subjects in their qualifying exam will not be allowed to appear in JEE Main exam. They must have Physics and Mathematics as compulsory subjects and Chemistry, Bio-technology, Computer Science or Biology as one of the optional subjects in their qualifying exam. The JEE Mains 2018 Eligibility Criteria does not specify any pass percentage for candidates appearing in the exam. The reason being the exam is also an eligibility test for admissions to B.Tech or B.E programs in states like Madhya Pradesh, Odisha, Nagaland, Haryana, Uttarakhand, Punjab, Chandigarh etc. and the percentage required by students in class 12 varies from state to state. The candidates are allowed to appear for the JEE Mains Exam up to three times. Beyond that, the registration of the candidate would not be accepted. Since the states of Madhya Pradesh, Nagaland and Odisha have joined JEE (Main) system from the year 2014. The age limit, for admission in colleges of these states which were earlier admitting candidates based on their state level examinations, will be as per their past practice only. The number of attempts in such cases will also remain same as per their past practice. This will however be obviously not applicable for admission to IITs/NITs/IIITs/CFTIs. • It is mandatory for all the Indian citizen candidates to possess Aadhar card issued by UIDAI. At the time of filling application form of JEE Main 2018, the candidates will be required to enter their Aadhar number, name, date of birth & gender, which will be validated with the UIDAI’s data. • In case, the above particulars do not match, the candidates will not be able to fill the application form for JEE Main 2018. Therefore, the candidates are advised to make sure that their aadhar card has correct details of their name, date of birth & gender as per school records. • If there is some mismatch in the details, the candidates should immediately get it corrected in aadhar data or school records, as the case may be. • Candidates from Meghalaya, J & K and Assam are excluded from this provision. These candidates have to enter their passport number, bank account number, ration card number or any other valid Govt. identity number to get examination center in these states only. The candidates must note that the state of India from which they have passed Class 10th + 2 or any other qualifying exam carries a code which is known as the State Code for JEE Mains Eligibility Criteria 2018. Note: If a candidate has cleared class 10+2 or equivalent qualifying examination from a specific state but has appeared for improvement from another state, then his or her state code of eligibility will be the one from where he or she has originally cleared 10+2 class or equivalent qualifying exam. In this case, the candidate’s JEE Main 2018 state code of eligibility will not be the state from where he or she has appeared for improvement. The Candidates can find their State codes from the table given below. The candidates are required to secure a minimum of 75% marks in their qualifying exams in addition to qualifying in JEE Main 2018 OR must be in the top 20 percentile of their 10+2 board. The candidates must have mathematics as compulsory subject along with 75% marks in total including five subjects in addition to qualifying in JEE Main Paper 2.